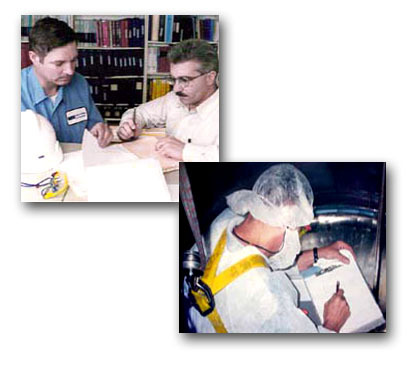 Lehigh Testing Laboratories, Inc. (LTL) can help you design and/or perform inspections as part of your mechanical integrity/quality assurance program in accordance with 29 CFR 1910.119 (Process Safety Management of Highly Hazardous Chemicals), which is administered by OSHA. LTL's inspectors are versed in current state and federal jurisdictional requirements as well as the latest editions of accepted industry standards. These include, but are not limited to the American Petroleum Institute (API), the American Society of Mechanical Engineers (ASME), and the National Board Inspection Code (NBIC). 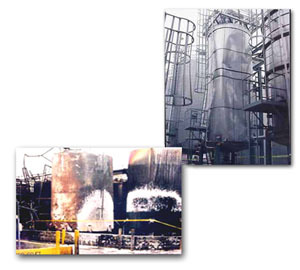 29 CFR 1910.119 mandates that manufacturers and/or processors using any one of almost 150 chemicals, flammable liquids, or gasses in their process must ensure the safety of their employees against the consequences of a catastrophic release of toxins. Companies are therefore responsible for maintaining a written mechanical integrity plan of action, which includes a process hazard analysis, equipment history with original manufacturers' data, and complete inspection records of all the systems containing these materials. Pre-inspection review of original manufacturers' drawings, equipment history, and previous inspection data and reports. Full inspection of equipment using NDT methods in accordance with customer requirements and standard specifications. Detailed post-inspection packages and recommendations. 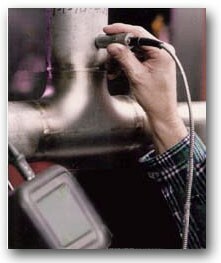 Use of PIPE software for maintaining inspection records and reports.